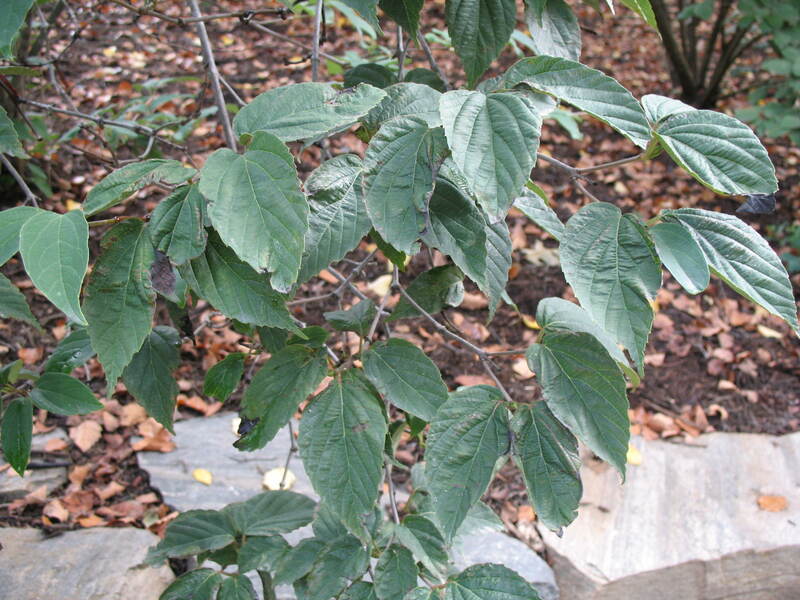 Comments: This is an upright growing viburnum that is often leggy and multiple-stemmed. It produces showy, reddish-orange fruit in the fall. It is reported that bacterial leaf spot can sometimes be a problem, especially when plants are growing under stress. Provide a fertile, well drained soil and sunlight during a portion of the day to encourage heavier flowering and fruiting.